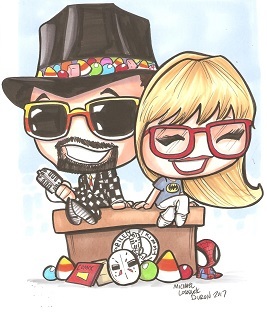 Better Call Saul – Nacho & Hero – Review: "S'all Good, Man"
On this Episode of The Riley and Kimmy Show we have shoutouts to Katie in Deland & Nerdtropolis Comics in Ormond Beach Florida. We talk about: Old Movies, Superman, Old Time Radio OTR. Arrow: Easter Eggs and DC Comics References In "Nanda Parbat"
On this Episode of The Riley and Kimmy Show we talk about: Cosplay, Gotham, The Joker, The Worst Comic Book Movies, Lady Gaga. People were surprised at Lady Gaga's great voice at the Oscars. They shouldn't have been. Visiting my favorite #collectible shop...Carasells Collectibles in #deland #florida and was pleased to see my friend (the owner) had placed on display the #vintage #atm machine I had been with him the week before at an #auction where he bought it. Arrow: Easter Eggs and DC Comics References In "The Return"
Gotham: Easter Eggs and DC Comics References In "The Blind Fortune Teller"
Why Is Marvel So Fascinated By A Teenage Spider-Man? 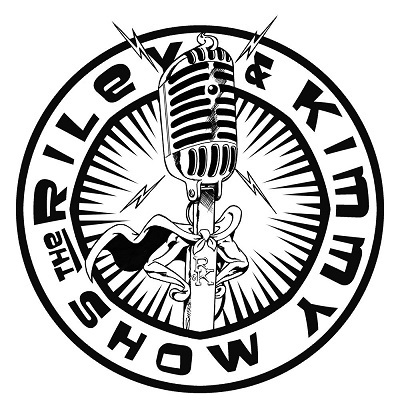 On this Episode of The Riley and Kimmy Show we talk about: Superman, The Golden Age of Radio, Old Time Radio, OTR. Lucille Ball Tribute, Old Time Radio, OTR, My Favorite Husband. Did Gotham Just Tease The Joker? Gotham: Easter Eggs and DC Comics References In "The Scarecrow"
Lady Sif Returning to Marvel's Agents Of S.H.I.E.L.D. The Wachowskis’ Expensive ‘Jupiter Ascending': What The Hell Happened? The Walking Dead: Who Was The Voice On The Radio?